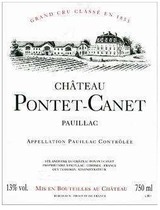 Château Client 2012 is black- purple in colour. Full of charm on the nose, it exudes aromas of wild raspberries, blackberries and wild strawberries. The lush fruit intertwines subtly with avours of cocoa, toast, liquorice, vanilla and Madagascar pepper. Silky and intense on the palate. Its rich, smooth mouthfeel oozes an intricate blend of ripe fruit and warm spice. A lingering, flavourful finish. With a dense purple color and gorgeous levels of fruit, especially black raspberry and blackcurrant, this full-bodied, opulent style of wine is another great success for Clinet, a château that has been on top of its game for the last decade. This is stunning stuff, and whatever new oak has been used - and there is plenty - it is totally disguised by the luxurious and extravagant fruit level. This full-bodied, opulent Pomerol should drink well for 15 or more years. Gorgeous plum cake, melted licorice and steeped currant and blackberry fruit is inlaid with notes of fruitcake and singed vanilla bean. Long and plush through the finish, with a buried charcoal spine that adds needed cut. Best from 2017 through 2027. 3,800 cases made. Score Range: 90-92. Barrel sample. This firmly tannic wine is solid and potentially quite complex. The structure is paramount, exhibiting substantial weight, while still hinting at the juicy fruity acidity on the finish.